This infographic shows video bloggers how to make their videos more viral and generate more reach and engagement on social media. If you are familiar with my work on VisibleBanking.com over the last eight years, you will already know how much I love the video format. I had the opportunity to experiment a fair bit with my 100+ video interviews with some of the most talented thought leaders in digital financial services globally and my dozens of video commentaries. About 18 months ago, I also started to record a series of tech reviews on products ranging from iPad Air keyboards to Android Wear smartwatches like the LG G Watch Urbane. 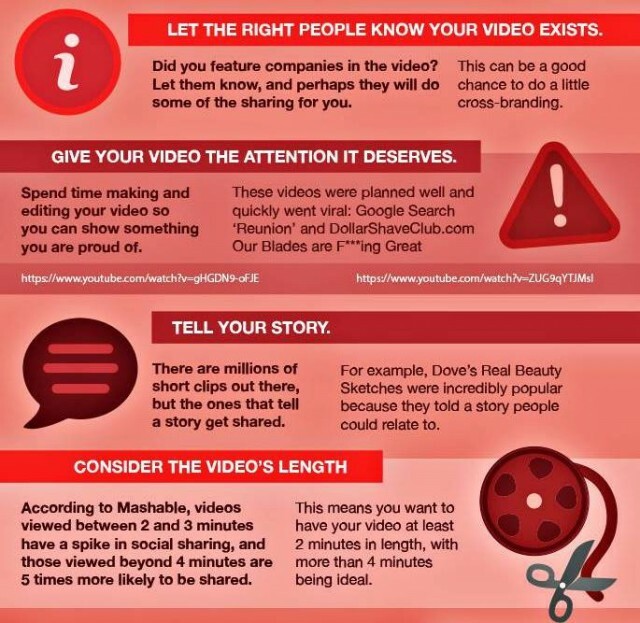 You will find below a comprehensive infographic by WhoIsHostingThis highlighting the different technics to not only produce sharper YouTube videos, but also helping drive social shares on the likes of Facebook and twitter. Please remember that producing sharp, insightful videos is only half of your content marketing equation: it’s equally important to maximise their visibility, reach and engagement by leveraging social media and making sure you connect them with your key audience as often as possible (as long as your content is relevant and your updates are timely). So what do you think of this ‘Secrets to a Killer Viral Video’ infographic? In your opinion, is it missing any essential steps and other tips to drive more reach and engagement on social media?